The Maid and the Queen was a very enjoyable and informative read. I have read books about Joan before, but what made this one stand out was the inclusion of the history of Yolande and the background of the war, the relationships of the protagonists etc. Goldstone's prose is easy going with just the right balance between telling the tale and offering a high level of details and annotation. You do not get sucked too deeply into academia, but instead can follow the story as it unfolds. This is a book that will appeal to history buffs and an interested novice alike - a delightful piece of research and writing. 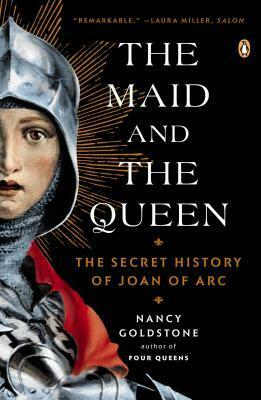 I give it four stars because, if you are looking for a history of Joan of Arc, this book does not have that focus, but it is a great read alongside other biographies.